When a baby is born, all sorts of relationships realign. At first, all eyes are on the baby – and the adults in that baby’s world are like planets revolving around the sun. 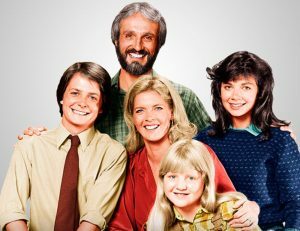 But, unlike planets that more-or-less stay in their orbit, people change and are affected by their relationship with other people in the family network. 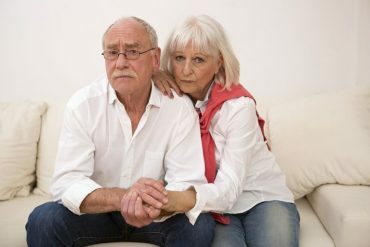 You will have months – even years – to build the kind of relationship you want with your grandchild, but the dynamics are sometimes set early for how you’ll get along with the other adults…your son or daughter, their partner, the other grandparents, and various “extras,” who, sometimes play a crucial role and are not “extra” at all. The experienced grandparents and professionals we’ve interviewed offer advice that can help you avoid the most common land mines and make the most of the experience. First, on the positive side, you can expect to fall totally in love with this new little being and to feel some of the same emotions you felt as a parent: awe at the new life and a desire to protect and nurture. Many people also report feeling an immediate surge of love and pride in their son or daughter who has produced this amazing baby and taken on an important new challenge. You may not always agree with the parents about when and how often you’ll see your new GRANDbaby. It’s important to remember that the new baby and parents need some time and space to create a strong family. That means that dropping by unannounced or uninvited runs the risk of interfering with that process. Experts advise grandparents to respect the parents’ boundaries, to ask before you make plans, and to let perceived slights run off your back. 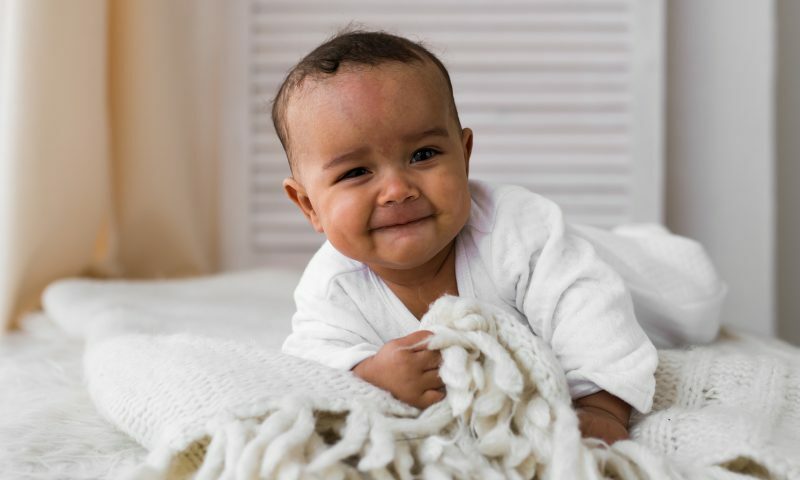 Remember, new parents are probably getting too little sleep, feeling some nervousness about this huge new responsibility, and adjusting to the non-stop demands of an infant. On the other hand, if you’re asked to visit or help, be as accommodating as you can be and keep your expectation for praise or gratitude at a low level. If you help for the right reasons and don’t extend yourself further than you really want to go, you’ll avoid feeling resentful. You may find some of the parents’ decisions different from those you made when you were parents. Your advice may not always be welcome. You may reach the moment when you think your experience and wisdom could benefit your GRANDbaby or his or her parents. As true as that may be, experts advise to tread carefully. 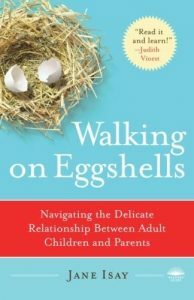 Jane Isay, author of Walking on Eggshells: Navigating the Delicate Relationship Between Adult Children and Parents generalizes the problem, saying that advising any adult child – not just one who is a new parent – can lead to resentment. 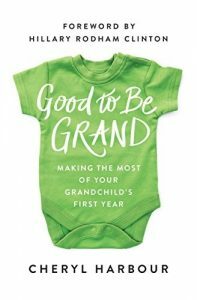 There’s also this advice in Good to Be Grand – Making the Most of Your Grandchild’s First Year: Remind yourself that several different opinions or approaches may be valid, especially when studies and techniques are still developing. Then realistically assess how receptive the parents might be to suggestions. Some new parents are happy to hear another opinion. Others will take any attempt to start the conversation as a criticism or insult. If you do decide to speak up – choose the time wisely and try to raise the topic in a non-threatening way. Phrase it as a question and find out more about what the parents think before you talk about your ideas. There may arise the need to navigate the in-law relationship with more care than before. 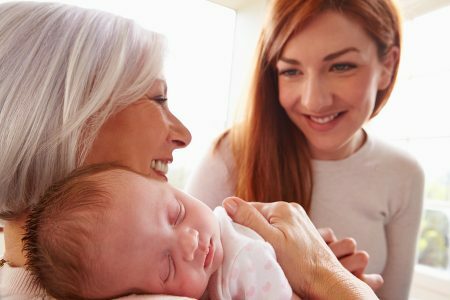 When there are two sets of grandparents (or more, if any of the grandparents have divorced and remarried) it’s unlikely that the relationship with the baby and the baby’s parents will be identical. Even if relationship patterns have been going along without disruption before the baby is born, some new issues may come to the surface. Here is advice for keeping things flowing smoothly. Be inclusive in your comments. Don’t say things to your son or daughter that you wouldn’t say to daughter- or son-in-law. Say what you have to say to both or don’t say it at all. Don’t criticize your son- or daughter-in-law in conversation with your child. Try to remain neutral when disagreements occur instead of taking sides. Be the person who adds positive energy, not the person who stirs up arguments or feeds animosity. Be true to yourself. Develop a special bond with your grandchild based on who you really are. Don’t think you have to compete with other relatives. The relationship between the baby’s mother and the mother’s mother-in-law are, for many families, the most difficult. In fact, a study conducted by the University of Cambridge Center for Family Research and an organization called the Stand Alone Institute found one of the most common reasons for families becoming estranged is the relationship between parents and the daughter-in-law. 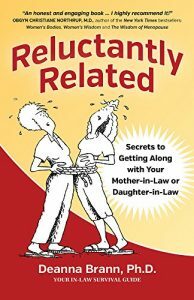 Deanna Brann, a clinical psychotherapist who contributes to Huffington Post and who has authored two books on the topic of relationships between mothers-in-law and daughters-in-law, points out that some of these relationships have a “passive aggressive” nature. 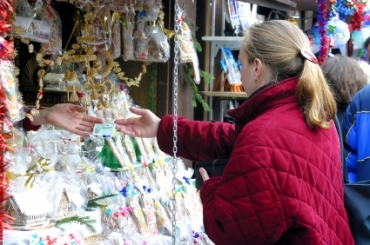 What does a passive-aggressive daughter-in-law tend to do? She might avoid spending time with you. She’s always busy when you come for a visit. She goes out of her way to include her mother in special times, without sharing those times with you. You can, of course, ignore this kind of behavior, or you can encourage your daughter-in-law to express her feelings. When she does, acknowledge that she has a right to those feelings and that your intent is not to infringe on her right to feel what she feels. 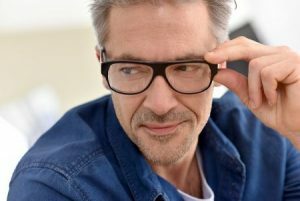 You may be able to clear up past misunderstandings, but the most important part is to let her know you want to have a good relationship going forward. Of course, society itself is running on customs and norms that may seem significantly different from what we’ve experienced before. When most of today’s grandparents grew up, our society was no longer based on an extended family living in the same house. Yet grandparents often lived in the same town and saw their grandchildren frequently – for fun, for babysitting, or both. The traditional arrangement of dad working and mom staying home with the kids was mostly in place. It was changing in the 1970s and 1980s, but subtly. In the decades since then, with the rise in families with two employed parents, families are looking for a new definition of roles. A government study analyzing data from 2016, found that 70.5% of women with children are working outside the home, and for women with children under 6 years old, the number was nearly 65%. That doesn’t make the decision any easier for parents to provide care for their child when they’re working – so experts advise that grandparents refrain from comparing or judging. Family lifestyles with two working parents have opened a need, an opportunity — and in some cases a feeling of obligation — for grandparents to fill the gap left by inadequate or unaffordable childcare options offered by either employers or the government. Another recent study found that 97% of families receive some help from grandparents – ranging from providing consistent general childcare to taking on specific responsibilities such as dropping off and picking up from daycare, to stepping in to help in case of unexpected circumstances. There’s no reason a relationship between a mother and her mother-in-law can’t be warm and rewarding – and many are. It’s all about compromise, communication and consideration – and it’s worth putting your best effort into establishing the right kind of connections with all the “planets” in the baby’s universe. According to Vern Bengtson, a professor at the University of Southern California’s School of Social Work, who’s quoted in an article in the New York Post, “These intergenerational connections are protective factors for a lot of life risk conditions.” A positive relationship is healthy for you. And maybe most important of all: It’s good for the GRANDbaby! ORDER GOOD TO BE GRAND HERE !